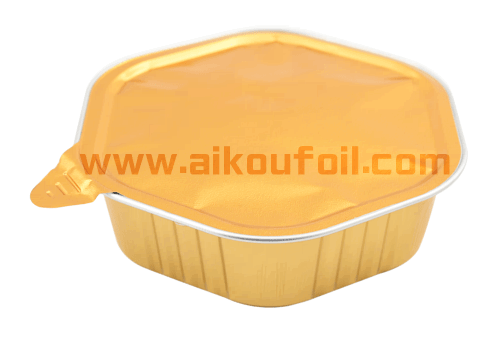 The original aluminum foil is the carrier of the adhesive layer, and its quality has a great influence on the heat sealing strength of the product. On the one hand, the surface of the original aluminum oil, will weaken the adhesion between the adhesive and the original aluminum foil. 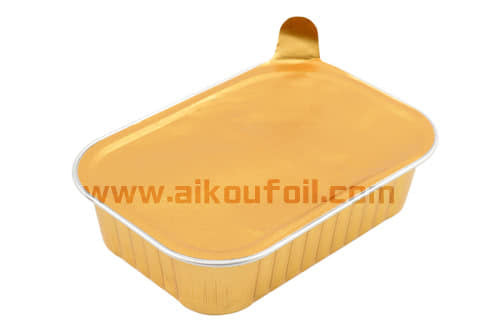 If the original aluminum foil surface oil and the surface tension is lower than 31 * 10-3 m, it is difficult to achieve the ideal heat seal strength. On the other hand, the original aluminum foil of the metal composition and surface brightness is not enough to affect the intensity of the heat seal, must be strictly the quality of the original aluminum foil. The adhesive is a special material containing solvent, which under certain technological conditions, coating on the dark side of the original foil (or smooth), after oven drying to form adhesive layer plays a decisive role on the heat sealing strength of products. At present, most of the domestic manufacturers use imported raw materials to prepare adhesives, the product can achieve high heat sealing strength. However, the import of raw materials prices are too expensive, in order to be able to get high profits, some manufacturers have strong scientific research and development of domestic research and development of similar raw materials. Under the control of a certain process parameters, the adhesive is coated on the surface of the original aluminum foil, and the quality of the film can directly affect the sealing strength of the product. One of the most important parameters include the speed of coating, the temperature of the drying path, the shape of the roller, the depth, the number of lines and the position and angle of the scraper. The coating speed determines the drying time of the coating in the drying path. If the coating speed is too fast, oven temperature is too high, will make the film surface solvent too fast, resulting in residual membrane solvent, drying is not sufficient, it is difficult to form a strong adhesive layer dry and firm, it will affect the heat sealing strength of the product, the adhesion between layers and products. The thickness and uniformity of the coating film are determined by the shape, depth, number and position of the roller. If the choice or adjustment is not appropriate, the adhesive can not be evenly coated on the surface of the original aluminum foil lead to uneven film, the product will not be a good thermal sealing effect, the intensity will be affected. Heat seal temperature is an important factor affecting the heat seal strength. The temperature is too low, so that the bonding layer can be well sealed with the PVC film, and the bonding between the adhesive layer and the PVC film is not strong. If the temperature is too high, it will affect the drug. Therefore, the reasonable heat sealing temperature is usually between 150 and ~160. In order to achieve the ideal heat seal strength, it is necessary to set a certain heat seal pressure. If the pressure is not enough, not only can not make the adhesive layer of the product and PVC film fully fit heat seal, and even make the bubble between the two, can not reach a good heat sealing effect. Therefore, the national standard for the pressure of heat seal is 0.2 * 10Pa. Heat sealing time can also affect the sealing strength of the product. Under normal circumstances, under the same temperature and pressure, the heat sealing time of a long time can make the sealing part of the heat seal more stable and perfect, and can better achieve the expected heat sealing strength. However, it is not possible to provide a very long time for modern high speed pharmaceutical packaging machine, and if the heat sealing time is too short, the heat seal between the adhesive layer and the PVC film is not sufficient. To this end, the national standard provides a scientific heat sealing time for 1s.